Update, April 4, 2019: This story was updated to include additional details of the law firm Debevoise & Plimpton’s review as well as comments about the new conflict-of-interest policies. The findings followed months of turmoil over executives’ ties to drug and health care companies at one of the nation’s leading cancer centers. The review, conducted by the law firm Debevoise & Plimpton, was outlined at a staff meeting on Thursday morning. It concluded that officials frequently violated or skirted their own policies; that hospital leaders’ ties to companies were likely considered on an ad hoc basis rather than through rigorous vetting; and that researchers were often unaware that some senior executives had financial stakes in the outcomes of their studies. The scrutiny of researchers’ stakes in startups has intensified at a time when venture capitalists are betting millions of dollars on the next potential cure for cancer and when expensive treatments like immunotherapy have fueled public concern over rising drug prices. At the staff meeting, Mark P. Goodman, co-chairman of the law firm’s commercial litigation group, told doctors that the review found “a number of instances of serious noncompliance with MSK’s conflict-of-interest policies,” according to a recording. A spokesman for the hospital, Mike Morey, declined to provide a copy of Debevoise’s findings. The conflicts and some profit-making deals — which were not specified at the meeting — did not occur through intentional misconduct, Goodman said. Rather, the review exposed inadequate oversight and a lack of established protocols for examining whether employees’ and executives’ affiliations with corporations could result in biased results that favored a company’s products. Goodman also said the review, involving interviews with 36 current and former employees and board members and an examination of 25,000 documents, did not find that the ethical shortcomings had hurt patients or compromised research. In an email, Goodman disputed the characterization of the findings as violations of rules and said the report did not conclude that top officials acted in a concerted way. In his presentation, he referred instead to “noncompliance” with hospital policies and to instances where executives appeared not to have followed existing policies. Baselga resigned in September, and he also stepped down from the boards of the drugmaker Bristol-Myers Squibb and Varian Medical Systems, a radiation equipment manufacturer. The British-Swedish drugmaker AstraZeneca hired Baselga to run its new oncology unit this year. 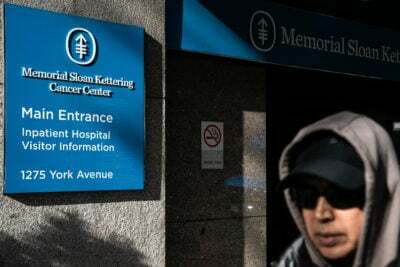 Additional reports detailed how other top officials at Memorial Sloan Kettering had cultivated lucrative relationships with for-profit companies, including an artificial intelligence startup, Paige.AI, that was founded by a member of the cancer center’s executive board, the chairman of its pathology department and the head of one of its research laboratories. The hospital struck an exclusive deal with the company to license images of 25 million patient tissue slides that had been collected over decades. Goodman said at the staff meeting that the law firm had not found evidence of intentional wrongdoing — defined as “a conscious decision to engage in misconduct” — by the hospital’s leaders or board members. “Although we did not identify evidence of breaches of fiduciary duty, we did find that processes and controls for the review and management of senior executive and board-level conflicts were deficient and resulted in instances of noncompliance with MSK policies,” Goodman said. Goodman also said that hospital leaders’ corporate ties were handled differently from other employees. Beginning in 2014, senior executives were no longer required to vet financial relationships with a conflict-of-interest advisory committee because the hospital felt the committee should not be asked to make decisions about executives to whom it reported. While Goodman said that rationale made sense, the general counsel’s office — tasked with overseeing the leaders’ conflicts — did not put in place formal procedures to examine potential problems. Hospital leaders also did not always disclose to faculty and staff when they had relationships to companies whose research was being conducted at Memorial Sloan Kettering, Goodman said. Other changes included new limits on how income is distributed from research discoveries that originate at Memorial Sloan Kettering, and regular audits to ensure the hospital is complying with its own rules. The cancer center reinforced its earlier statements that many profits from outside work should flow back to MSK research.